3x8 inch Save the Date Full Color Square Corner Magnets – We all love to treasure black and white photographs from yesteryears because they signify passing of an era. We all relate to these photographs through some nostalgic memories. 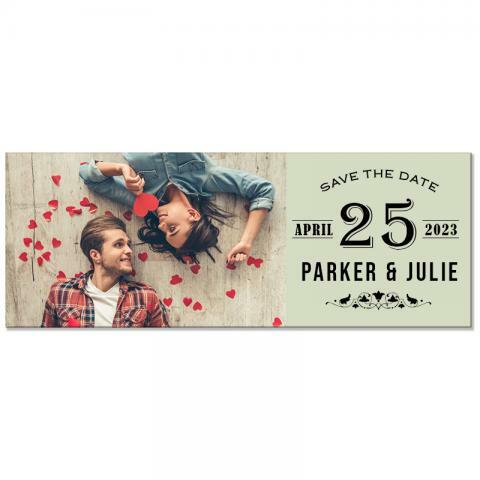 Similarly, you can create a nostalgic feeling by utilizing these 3x8 inch wedding magnets save the date. You can choose to customize it with a very good photograph of yours with the partner with just the date information. It will strike the viewers mind with its simplicity and elegance. Product Size: 3 in. x 8 in..